The Community Safety Partnership brings together relevant partners so they can work together to develop the strategic approach to safer communities. They work to deliver a number of strategic objectives which are published in the Community Safety Plan. This plan is available here. Through the Children and Young People’s Partnership, partners work together to improve the lives of children and young people in Wakefield. The partnership provides the strategic direction for decision-making about services and provides the strategic leadership across relevant organisations to make progress against agreed ambitions, priorities and outcomes. 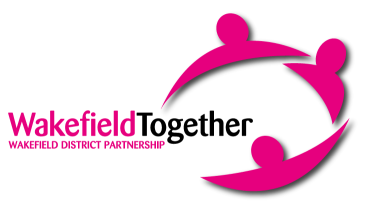 The partnership develops a strategic partnership plan for Children and Young People in Wakefield. Wakefield first is a public and private sector led strategic organisation responsible for attracting inward investment, supporting trade, and raising the profile of the Wakefield district. Their key motivations are sustainable economic growth, job creation and promotion of the Wakefield district as a vibrant, dynamic and competitive region with global aspirations. The Health and Wellbeing Board is a strategic, statutory body which aims to improve the health and wellbeing of the residents of Wakefield and to reduce inequalities in outcomes. The Board acts as a forum for collaborative leadership across relevant organisations and is required to encourage those who arrange for the provision of health or social care services to work in an integrated manner. The Wakefield Health and Wellbeing Plan is the Board’s five year strategy for how they intend to improve health and wellbeing across Wakefield. You can find out more about the Board, and see the Plan on the Board’s website.